Ah, Dodo. If there was ever a companion as unloved and as misunderstood as Dodo, then it was… erm… well, Dodo. She of the undisclosed accents and of the temperament to get into situations she: a) really shouldn’t have been in; and b) actually wasn’t invited in the first place. Does everybody out there hate Dodo so much? Was she that bad that we say her – admittedly bizarre – name in the same breath as Adric and Mel (both of whom we’re tackling in Underrated Companions Week)? Has time been unkind to her? Have we, the fans, been unkind to her? Perhaps we should take stock of the fact that some of the Doctor’s choices of friends haven’t exactly been, shall we say, straight-thinking, so why should Dodo be given the brunt of our collective wrath? I have to admit that I was never a great admirer of her tenure aboard the TARDIS, but occasionally over the years I find myself re-evaluating much of my opinions over the show (hey, one day I might even think that Series 11 was a great run and a solid, dramatic, well-acted, well-written, and entertaining entry into the canon. And pigs might fly) so my initial feelings towards Dodo weren’t always positive. Back in the Old Time, before the new-fangled interweb, us Shebogans had to rely on fanzines: pictures of Doctor Who and his chums cut out and stuck down with glue with words included by use of a strange ancient invention called a ‘typewriter’ that was printed on something called ‘paper’ and duplicated in black smudgy ink by a machine called a ‘photocopier’. These fanzines, joking aside, were works of art, made with such love and commitment. But they were some fans’ opinions: fans who had the ability and the time and the inclination to tell the rest of the fan community what they thought, whether the community wanted to know or not. They, in many ways, governed our opinions, guided us to a viewpoint that we had no way of countering. There were no episodes commercially available to watch at leisure, very few Target novelisations of early serials, and so when a group of fans decided something wasn’t right, or proper, or even good, we went along with it. (These days, we have a platform to respond on, to talk openly and respectfully, to air our likes and dislikes, to understand that someone else’s opinion is just as valid as the next person’s, sometimes.) The last time I had truly heated face-to-face discussion over something Who-related was many many years ago – and during that discussion I gave up, passed out, and slid down the wall. I was in the Fitzroy Tavern with my housemate, you see, and we’d been drinking far too much blind-inducing Ayingerbrau before the conversation even started with a couple of fellow fans, one I recall being Anthony Brown, he of the late DWB and I’m convinced the debate surrounded Sylvester McCoy’s era. Anyway, the point I’m making is that now we can all be judge, jury, and executioner, can all have access to previously-legendary-status stories, and all love and loath everything in equal measure. Which brings me back to Dodo. I’m guessing you’d hoped I’d forgotten about her. Sorry about that. Ah, Dodo. If there was ever a companion as– hang on, I’ve already said that. Her character was designed, or at least intended, to be a distant relation to a guest companion in a Hartnell serial: Anne Chaplet who appeared in The Massacre of St Bartholomew’s Eve. 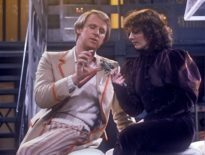 Dodo Chaplet, or Dorothea to give her full name, can therefore genuinely claim the honour of being the first companion that had a temporal link to the Doctor. 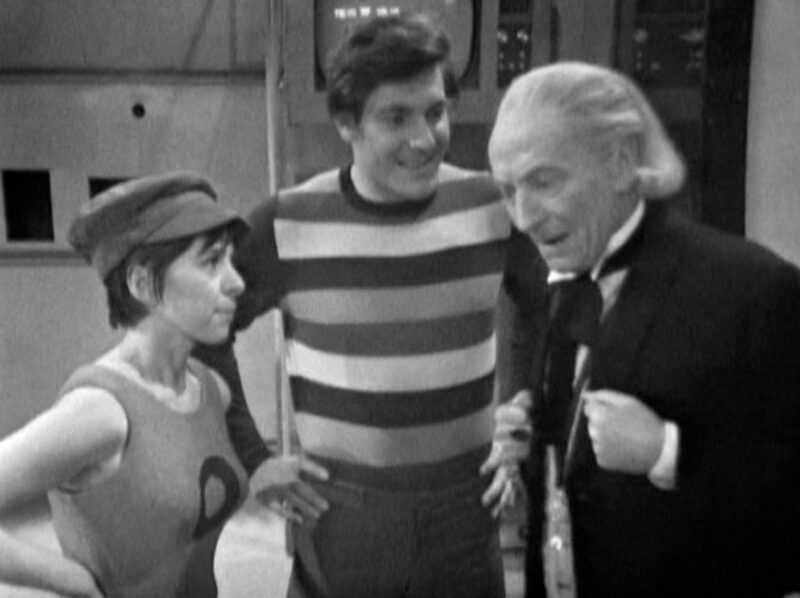 These days, companions like that are two-a-penny and of course wibbly-wobbly, timey-wimey thinking just didn’t exist for viewers and script editors in the ’60s. 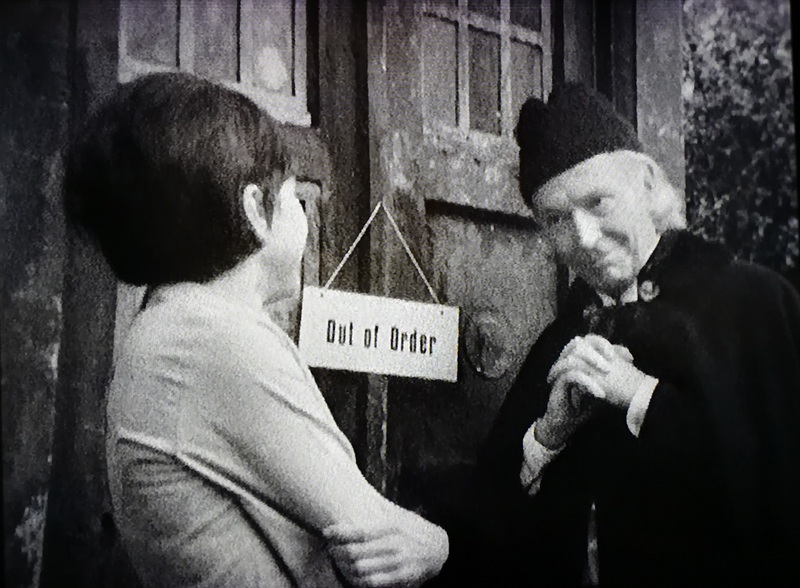 Anne herself was mooted to be a companion-proper but producers Donald Tosh and John Wiles felt that Hartnell’s Doctor would be interfering too much in Earth’s past if he were to carry off a period character into the TARDIS. Ironically, only a couple of years later, Troughton’s Doctor would do just that with Jamie. But there we are. 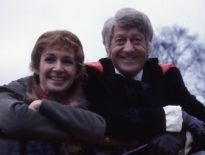 Dodo was conceived as a cockney, a very Earthly Child but one who the Doctor would take under his wing because of her (vague) similarity to Susan. Personally, I had always seen Vicki as Susan’s bona fide replacement so the notion that Dodo would serve a similar purpose wasn’t abundantly clear. Like Tegan years later, she too mistook the TARDIS as a real police box and sought help from within: and this grounded her in realism. Why hadn’t more people done this? It just seems the most sensible and hinged thing to do. Little can be said, though, of her development: she was a foil for the Doctor to explain the plot to, which is of course the traditional role of the classic companion, but actress Jackie Lane seemed to suffer with this more than most. 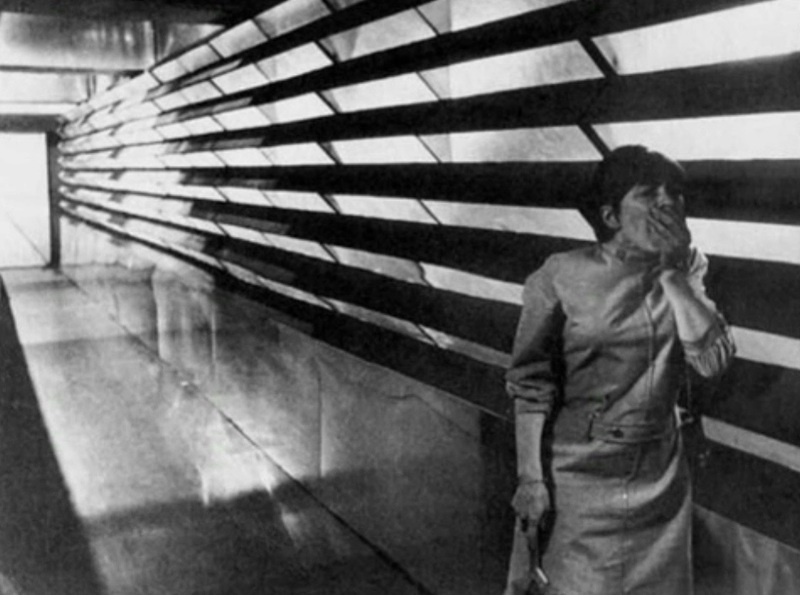 She said in an interview after she’d left the show that she never really liked sci-fi and found it difficult to react to the monsters because they weren’t real. But is this unfair on the BBC props guys? Or on any direction she was give? Or Lane’s own acting abilities? Well, she appeared in a solid batch of stories (The Massacre of St Bartholomew’s Eve, The Ark, The Celestial Toymaker, The Gunfighters, The Savages, and The War Machines) and was fed some strong scenes and displayed a good set of lungs when those screams were required. So there’s much that compares her to a lot of her peers: she’s no worse and no better than many of the monochrome companions (but I agree Ben, Polly [who I named my daughter after], Jamie etc are phenomenal, even today) and she deserves a re-watch, an appreciation that the producers were changing the show to become something else. I think she was a test-run: the mapping of a contemporary companion where before we had aliens and schoolteachers and spacemen. So if she’s not to everyone’s taste, then just remember she was one of the first of our modern TARDIS incumbents. Unfortunately, though, I can’t find any excuse for her peculiar accents. ← Guest Star and Director for Doctor Who Series 12 Revealed?